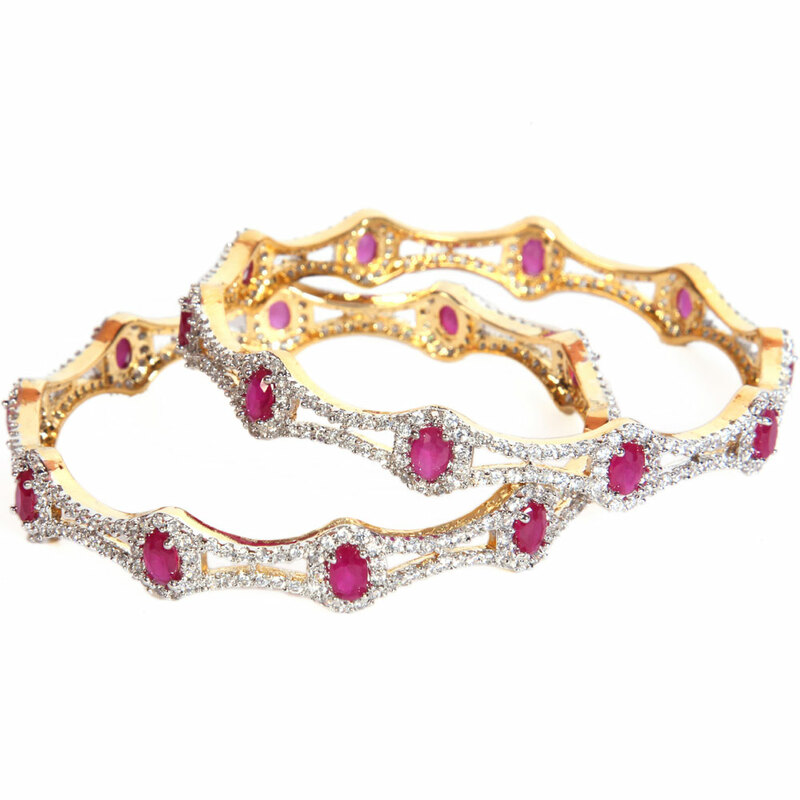 The base pattern molded from small gold plated brass metal has been superbly embellished with sensible white AD masonry, whereas the core of the ovals is created by stunning pink CZ stones. This pair of designer bangles feature a contemporary double waved pattern interspersed with oval shapes at regular intervals. The base pattern moulded from micro gold Read More..plated brass metal has been beautifully decorated with brilliant white AD stonework, while the core of the ovals is formed by beautiful pink CZ stones. Show Less..